If one was to ask someone in Ireland to name a song about Galway their first choice would most likely be Galway Girl as it has become such a massive hit around Ireland and the world for that matter. Twenty years ago however if one was to as anybody in Ireland to name a Galway song they would most likely say Galway Bay. The popularity of any given song changes with the passing generations. But the old tunes are still played and sang as much as ever. I would hazard a guess that besides Dublin the next county that has the most songs written about it would be Galway. But there are many more folk and ballads that don't have the County name in the title but mention the name Galway somewhere in the lyrics. Examples of this would be The Rocky Road To Dublin,'' Some Galway boys were by, saw I was a hobble in'' . 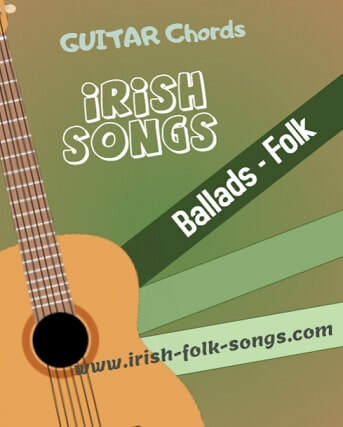 As with most counties in Ireland the vast majority of the songs that were written about Galway are romantic love songs. There are some exceptions however, most notably the three Civil War songs I came across and tell of the men executed by The Irish Free State soldiers on April 11 1923 in The Workhouse in Tuam. It was no surprise to me that when I was compiling the top 100 Irish folk songs of all time that 5 Galway songs made it into the top 100.